Full disclosure – I am an extrovert. However, I'm surrounded by introverts. My fiance, my step-dad, my best friends and all of my clients are introverts. 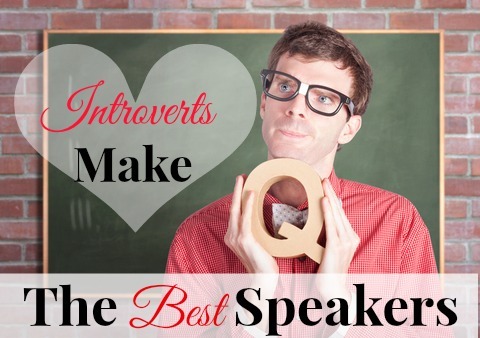 When I coached college speech and debate, the vast majority of my students were introverts. If there is an introvert on his own at a party, expect me to be the one carrying on an intense conversation with him in the corner. When I googled speaking tips for introverts, I was surprised to see how much of the advice treated introversion like a disease. Something to be overcome, dealt with, treated. Now, while I love me some Susan Cain (her book Quiet and her TED talk are amazing), these tips are just about as generic as they come. They are tips for all speakers, and apply whether you're an introvert or extrovert (except the performer one). Let's stop looking at introversion as something a speaker has to overcome. Let's focus on introverts strengths as a speakers, and in fact introverts make amazing speakers. 95% of all my coaching clients are introverts. They are beyond committed to the work of mastering public speaking, embracing their newfound strengths as a speaker and getting their message into the world. I love that my introverted clients are game for any speaking homework assignment I give them (no matter how unconventional and trust me I can get a little weird…in a push you out of your comfort zone way). With that kind of commitment to growth, they can't help but become speaking successes. The biggest anxiety reliever for an introvert: public speaking is not about you! The audience doesn't care about you, your listeners care about your message and how it can benefit them. Being able to externalize the message (realizing it's separate from the speaker) puts many introverts mind at ease. Because introverts…. Since introverts relish thinking big thoughts, having a well-thought out message is easy for them. 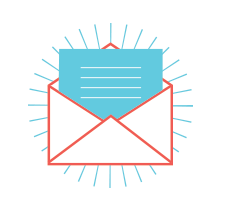 My experience is they spend a lot of pondering what their audience is going to get out of their presentation and how to articulate their message clearly and succinctly. This aspect sets up the audience for a great presentation experience. A tell-tale sign of an introvert is that they like to write. I recently worked with a real estate developer who was smart, funny and committed to becoming a supremely skillful speaker. When we started working together, he had NEVER given a formal presentation. He always made his business partners do that part of the business for him. He was just too shy and introverted. As we worked on his very first speech ever, he sent me a draft. I was blown away. It was beautiful organized and artful written. Sure, we needed to tweak, wordsmith and cut, but there was no need for an organization overhaul. He nailed it! Introverts more than any other speakers, I've worked with realize the importance of self-care after a presentation. Presenting is a massive energy exchange between the speaker and the audience. While introverts expect this to be draining, they prepare in advance how they are going to take care of themselves after a big speaking gig. They make time for being alone, curling up with a good book or take an extra long nap. Extroverts typically feel amped up after a speaking gig, the energy exchange is the finest drug in the world for an extrovert. However, there is always the inevitable crash (like a sugar crash after you ate 10 Snickers bars) that leaves extroverts feeling depleted. No self-care has been planned yet it's still desperately needed. Introverts make wonderful speakers. They have unique strengths that some extroverts do not possess. Let's stop solving the “introversion and public speaking” problem and start building upon the rock solid foundations of strengths. Did I miss anything about the speaking strengths of introverts? Let me know in the comment section below.